The Steering Committee (SC) of the Eastern Partnership Civil Society Forum (EaP CSF) strongly supports the letter dated 31 May 2018 signed by 100 civil society activists, lawyers and politicians and addressed to Mr Ramil Usubov, the Minister of Internal Affairs of Azerbaijan. 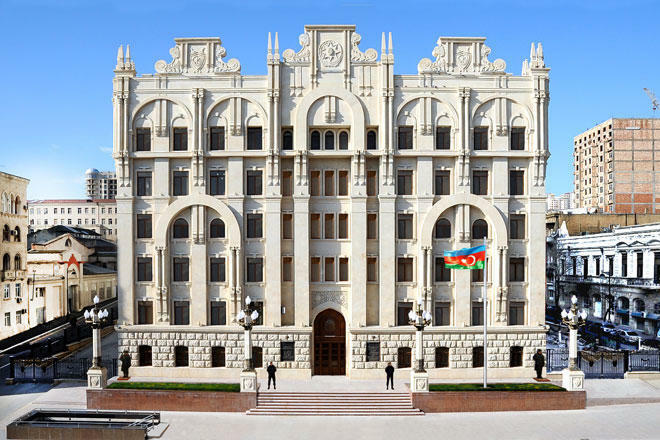 In the letter, the signatories protest at the series of detentions and summons to police stations of participants of the celebration in Baku on the 100th anniversary of the Azerbaijan Democratic Republic (ADR) declaration in 1918. The signatories say they are surprised by the minister’s actions. They say that if celebrating the anniversary of the ADR declaration in this way is an offence then they want the minister to also hold them to account “for their love of the flag, values and the founders of the ADR”. The letter, which is also signed by several members of the Eastern Partnership Civil Society Forum in Azerbaijan, comes as participants of the celebration from the REAL opposition party are being summoned every day to police stations and warned that their actions are punishable. Four people have been detained for up to 30 days. According to the police, the offences that were allegedly committed by the participants are using foul language, blocking streets and failing to follow police instructions. The EaP CSF Steering Committee stresses that the treatment by the authorities of the participants signals that declarations by the authorities of their intention to democratize Azerbaijan sound empty when they fail to respect the right of assembly on the occasion of the 100th anniversary of the country’s independence. In a separate but related set of incidents Agil Maharramov, Babek Hasanov and Ruslan Nasirli, activists of the Popular Front Party (PFP), another opposition party, were arrested on 25 May 2018 for four months on charges of alleged illegal business and money laundering. The PFP was also planning 100th anniversary celebrations of the ADR declaration.